There are plenty of intelligent animals out there, but we usually assume that we’re the most advanced in aspects like society and cultural considerations. But the deep diving whale off the Galapagos have their own dialect, which is leading researchers to consider that they might have their own culture as well. Other animals that tend to learn things from each other include killer whales, birds, and chimpanzees. How the sperm whales organize themselves off the Galapagos Islands has been a bit of a mystery, since the female whales and their calves organize into clans in the area while the male sperm whales head off to colder water near the poles. A recent study in the journal Nature Communications has suggested that these clans of whales stick together based on their learned behaviors. They seem to have specific clicks and noises that they make when they are communicating socially. They pick up vocalizations from each other when they spend a lot of time together. The important thing to note about this, is that is seems to be the social connections that form these clans, not the familial ones. Researchers couldn’t explain the clan members by genetics or by what the mother’s might have taught their offspring. Their best idea is that “like-minded” whales stick together. Now that the researchers are aware of this, they plan on looking back over the past 30 years to see what sort of dialect changes have occurred in the ways that the whales are talking to each other. It would be assumed that just like with humans, that dialects and communication styles change over time. 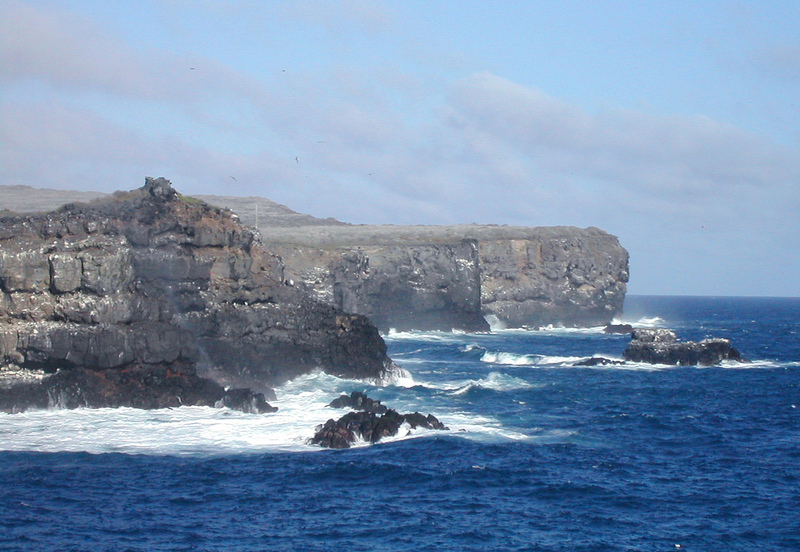 The Galapagos is considered one of the best places to go for animal viewing in general. Located in the Pacific ocean off the coast of Ecuador, the Galapagos is where Charles Darwin spent time studying animals and consequently came up with the theory of evolution. There are a variety of plant and animal species there that are not found anywhere else in the world. Travelers to the area will be able to see plenty of wildlife by taking hikes, as well as snorkeling and scuba diving. The number of visitors are actually limited in the National Park, which is something to keep in mind when you are making travel plans. The best snorkeling is January through April, and the busiest months for visitors tend to be July through August, and December through January. June through November tends to cool down and the ocean can get a little more rough, but many experienced divers prefer this time of year because even more marine life can be seen as they come in for the colder water. It’s a particularly good time of year for shark spotting, if that’s on your agenda! It’s usually best to book your trip to the Galagos a few months in advance since the boats can fill up. Travel to get there includes first flying to Ecuador through one of two locations, and then taking a bus or ferry to Santa Cruz island where the majority of the cruises begin. Oh this is so amazing! I think I will book a trip to the island in 2 or 3 months time. How quaint? We humans have been so proud of ourselves simply because we’re so far ahead in the evolutionary ladder, or so we think. We look to dolphins and sharks more recently and all the while it was the unassuming sperm whale that are so similar to us in the way we socialize. Give it half a million years and who knows? These wonderful marine mammals could surprise us with speech patterns. But I’m no expert so I’ll just include that in my wishlist even when I’m no longer around in 500,000 years or so. Still I hope more work will be put into this research, I for one am eager to find out.